by Andy Higgs in Home. Our entertainment culture has romanticised the road trip quite a lot. Ever since the dawn of the automobile, the idea of taking to the road for long periods of time has captured the minds of millions. And who can blame them? The reason so many of us want to go on long road trips isn’t just because the movies have made them look so cool. Road trips allow us to really get to know a country. The freedom that comes with having a car means you can stop and go pretty much as you please. You can explore whatever nook or cranny of a country your heart desires. You’re completely flexible; no need to tick to some bus tour schedule. You can give way to spontaneous decisions. 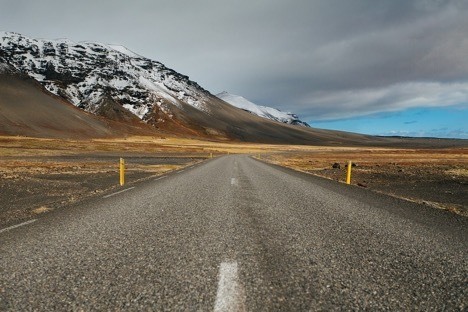 If you’re taking a road trip by yourself, then it can be a time of great personal reflection as well as sight-seeing. If you’re taking a road trip with friends, then it’s an amazing chance to talk deeply and catch up. After all, we’re not around our friends nearly as much as we’d like to be! We don’t all have the time to hang out with our friends pretty much every hour of the day, unlike the characters in that 90s sitcom about friends. I can’t remember the name of it right now. A road trip turns the journey into its own sort of holiday. The journey becomes just as special as the destinations, if not more so. Plus, you can pick your own soundtrack! 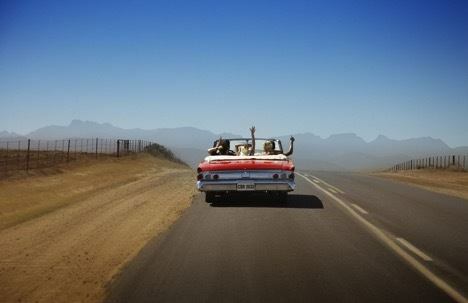 Come on, you must have had a playlist running through your head when you were imagining the road trip of your dreams. So what’s a great place to take a road trip? Well, I guess the ultimate and most classic route is that of Route 66, U.S.A. But that’s a pretty ambitious undertaking. Why not put that on the backburner for now and concentrate on something more luxurious. Consider the French Riviera. So how do you get started? While you may have dreamed about taking an epic road trip in your own long-beloved vehicle, that might not be too feasible. You are, of course, welcome to arrange transport of your vehicle from your home country to the French Riviera. But assuming you can even legally do it from your country or with your make of vehicle, there are other problems you may run into. The cost of transporting it, either by boat or by plane, can be very expensive. And if you’re taking it there manually from another location in mainland Europe, then you’re going to face astonishing fuel costs. So what do you do? You could consider renting a car. This process may not be as complex or as expensive as you may think! It’s possible to arrange for a five-day hire of a four-seat car for about €35 a day. Some would say that’s quite a lot, but consider the amount of time you’re going to be using it. Split that amount over the amount of hours you’ll be driving around and you’ll see that it’s really not too bad at all. You’ll want to plan a route. But you don’t want to make the mistake of creating too strict a plan! One of the perks about road trips is a strong sense of mystery and exploration. 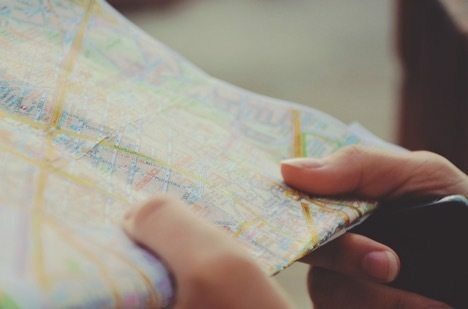 So as long as you take an up-to-date map with you (a real one – don’t just rely on GPS! ), you should be okay to keep your plan loose. As for accommodation, you can also afford to be a bit looser in this area. I’m not going to recommend that you sleep in your car instead of in hotels. But what a road trip does is allow you better access to hotels or inns that are slightly out of the way. This not only adds to the feeling of adventure but may also help save you some serious cash! 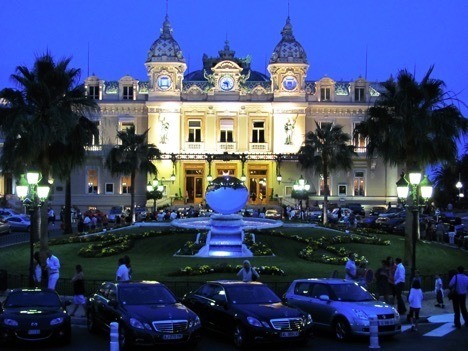 Thanks to Formula One, the city-state of Monaco will be forever tied to the pleasures of driving. So what better place to being your road trip? But it’s not all about the opulent sports-car experience. Monaco offers an incredible park in Japanese Garden. It’s a big public garden, a highly-stylized replica of eastern exterior design. But you probably guessed all of that from the name, right? And speaking of highly-stylized flora, wait till you see Casino Square at night. The trees are all lit up in bright and bizarre colours, making it a truly unique place for evening dining. And, of course, there’s the Ferrari Sports Car Experience to try out. I hope having a spin in a Ferrari doesn’t make you feel too sad about your rental car for the rest of the journey! The Notre Dame cathedral is a must-see, as are the stunning views available from Castle Hill. And while you may be tempted to keep the beach visit exclusively to the day, you’d be making a mistake. Maybe I’m a little biased (as someone who prefers things a little cooler), but I found the nighttime beach visits to be even more pleasurable. The Promenade de Anglais turns into a calm, beautifully-lit hangout with an unbeatably breeze from the sea. A noticeably more subdued place that Monaco or Nice. 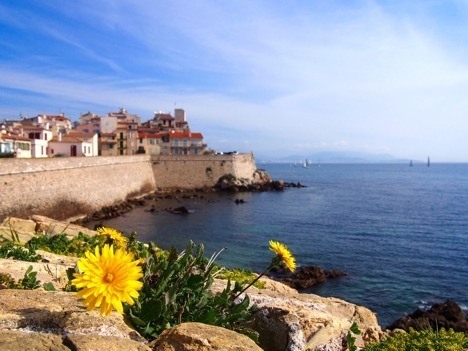 Antibes is a small, quiet resort that makes a perfect stopping point between Nice and Cannes. It’s known as the cultural heart of the French Riviera. It’s here that one of the world’s finest art museums resides; the Musée Picasso. (No, you don’t get a cookie for guessing that that means Picasso Museum.) Although Picasso was Spanish, he spent most of his adult life living in the French Riviera. ISo it’s only fitting that Antibes that holds the bulk of his work. You simply cannot pass on this opportunity to see the works of one of the twentieth-century’s finest artists before your very eyes. It contains his sculptures and stage designs as well as many of his paintings. And if you’ve had enough of art, then you can head down to the Juan-Les-Pins resort, which has some of the finest nightlife the Riviera can offer. Travel back a few thousand years and you’ll have been headed towards a small, unassuming fishing community. But these days you’re going to be heading to one of the most famous cities in the world of entertainment. But let me go on about some of the other things Cannes is valued for. Simply put, it’s a much calmer and luxurious place than you might imagine. Cannes is filled with mysterious cobbled streets and incredible street art. 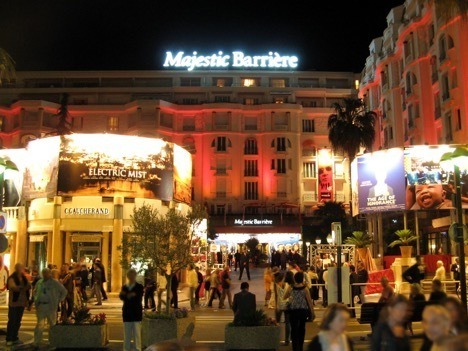 There are numerous boutiques which have helped gives Cannes a name in the shopping world as well as the entertainment one. And some of the astonishing Cannes property for sale will make you think twice about even returning home. But, of course, what gives Cannes its global renown is its annual film festival. Well, I hate to break it to you, but this festival may not end up being relevant to you. It’s not really open to the public! If you want to make the Festival de Cannes part of your trip, you may want to make an eligible film before you leave. 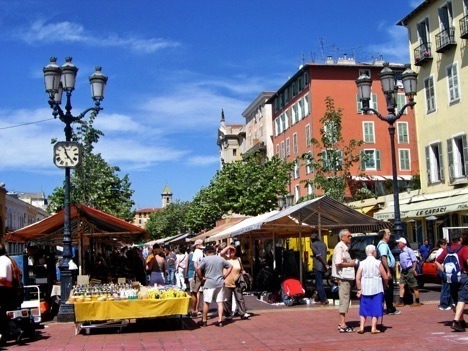 Last but certainly not least, we have the beautiful commune of Saint-Raphaël. A warm and vibrant place, it holds a population of less than 35,000. It will be the smallest place you’ll have visited on this trip thus far, but don’t let that fool you. Saint-Raphaël has a rich history and much of that history is still on display. Shipwrecks from the nineteenth century can be explored via the commune’s famous scuba diving. 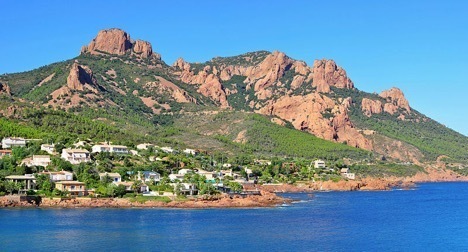 Hiking and mountain biking along the coastal mountain range of Massif de l’Esterel will have you forgetting you’re in Europe at all. Its volcanic rocks, oak forests and red cliffs almost seem too exotic to be in France. But, of course, France is one of the most diverse lands in Europe. It’s variance and beauty is often overlooked in favour of Italy, America or Colombia. 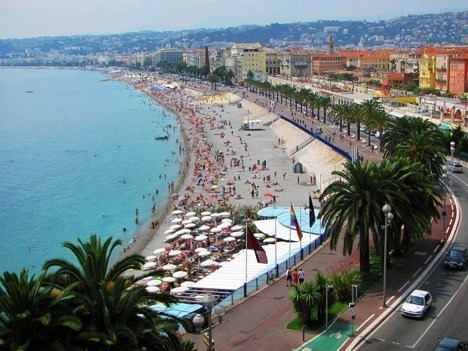 But France has a lot to offer, and the French Riviera is the perfect way to experience it. Forget Route 66. Take a long drive through the Côte d’Azur.